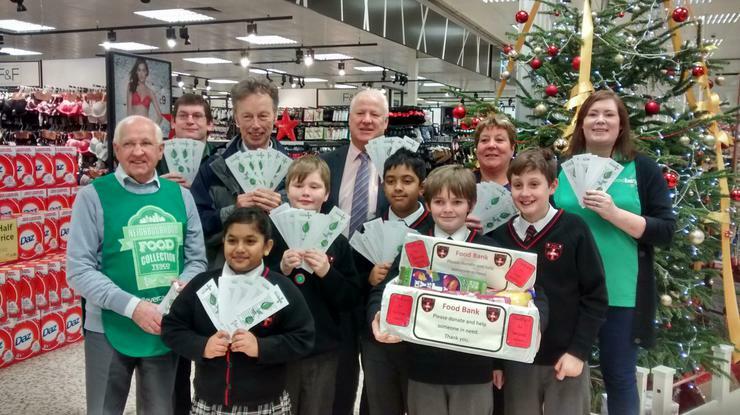 Children from Year 6 proudly presented Tesco with their food bank collections in time for Christmas. Families from school had been kindly donating food items to the food bank collection point in school over the last few months to support this good cause. Year 6 also spent 2 days at the Tesco store – distributing leaflets to raise awareness of the food bank and encouraging people to make donations. John Pugh was there to show his support for this worthy cause. Lesley Kirkbride, Tesco’s Community Champion said that as a result of the hard work of our children Tesco experienced a big rise in the number of people making contributions. Thank you to everyone who contributed to this good cause.